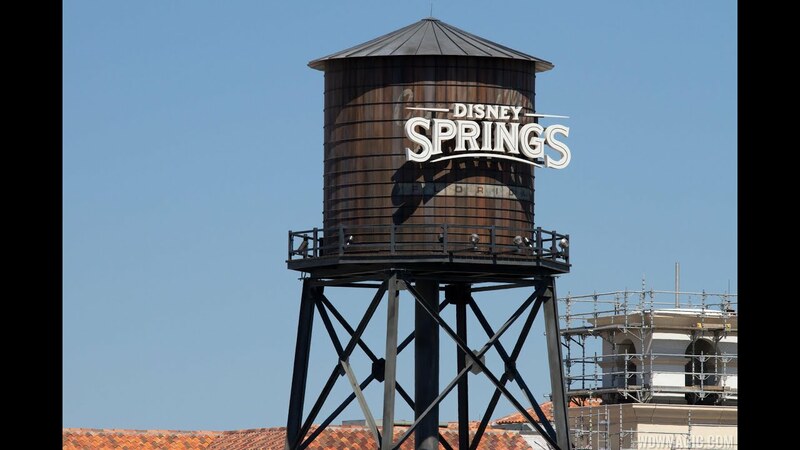 Nov 16, 2017 in "Disney Springs"
Disney Springs will open two hours early at 8am on Black Friday November 24 2017, and here is a run-down of all the special offers to be had. Cast Costume Collection: A limited-release collection created by the Disney Parks Costuming team, this special assortment of bags transforms fabric from authentic cast costumes from The Twilight Zone Tower of Terror Attraction, Trader Sam’s Grog Grotto Restaurant, Haunted Mansion Attraction, and the The Great Movie Ride Attraction into collectible items that can be used and enjoyed in a new form. Coca-Cola Store – Take home a special holiday T-shirt for just $5.95 with your purchase of $35 or more. Plus, the more you spend, the more you save! Spend $30.00 to $39.99 and receive 10% off; spend $40.00 to $49.99 and receive 15% off; and spend $50.00 or more and receive 20% off. Excludes all beverages and photo imaging. Other restrictions may apply. See store for details. Offer valid from November 24 to November 26, 2017. Crystal Arts by Arribas Brothers – Receive 10% off your purchase. Plus, get complimentary domestic shipping on in-store purchases. Exclusions apply. Offer valid November 24 to November 26, 2017. Duncan Yo-Yo – Save up to 10% off on select merchandise at this playful kiosk. Offer valid November 24 to 25, 2017. House of Blues Gear Shop – Snag something with a little heart and soul—select items are 40% off. Offer valid November 24 to November 26, 2017. The LEGO® Store – Get a complimentary nutcracker with a purchase of $99 or more! Plus, shop early for doorbusters. Offer valid November 24 to November 27, 2017. Rainforest Cafe® Retail Village at Disney Springs Marketplace – Save an additional 50% off special-value items. Offer valid November 23 to December 31, 2017. Shop for Ireland – Enjoy 25% off merchandise. Offer valid November 24 to 26, 2017. Sugarboo & Co. – Check out doorbusters from 8:00 AM to noon. Other sales include 25% to 40% off select items. Exclusions apply. Offers valid November 24 to November 26, 2017. Swings ‘N Things – Save an additional 10% off hammocks and hammock chairs already on sale. Offer valid November 24, 2017. The Store at Planet Hollywood Observatory – Scope out stellar gifts and get 20% off your total purchase. Excludes gift cards. See store for details. Offer valid from November 24 to November 30, 2017. The Art of Shaving – Groom the guys in your life—all shaving and skin care kits are 40% off. Offer valid November 24, 2017. Basin – Receive 10% off all purchases over $30 and 15% off purchases over $50. Plus, when you spend $75 or more, enjoy a complimentary dessert or classic cheese pizza at Wolfgang Puck Express at Disney Springs Marketplace—or spend $150 or more and receive a complimentary entrée. Offers valid November 24 to November 26, 2017. Kiehl’s Since 1851 – It’s a great time to score some of this apothecary’s most popular products. Get $20 off your next qualifying purchase of $65 or more—through November 30, 2017. Restrictions, exclusions and other terms may apply. See store for details. L’Occitane en Provence – Land the Nourishing Shea Butter Body Collection Gift Set for just $74 ($100 value), while supplies last. M.A.C Cosmetics – Explore the unique holiday kits in this season’s glam Snow Ball Collection, while supplies last. Origins – Get your hands on the Super Stars set for $70 ($170 value). Plus, visit November 23 to November 24, 2017 and purchase the Superstar Minis collection (a roundup of best-selling products) for only $25 ($90 value), while supplies last. See store for details. Savannah Bee Co. – Looking for an eco-friendly present? Discover unique picks like the “Bee the Balm” gift set or a flute of flavored honey. ALEX AND ANI – Save 20% off your total purchase. Offer valid November 22 through November 27, 2017. Chapel Hats – Double up on stylish finds—buy one hat and get a second at 50% off. Exclusions apply. Offer valid November 23 to November 25, 2017. Edward Beiner Purveyor of Fine Eyewear – Buy one pair and get a second pair at 30% off. Cannot be combined with any other promotion. Offer valid November 24 to November 27, 2017. Erwin Pearl – Surprise a loved one with a beautiful piece of jewelry! Enjoy 10% off your purchase of $150 or more. Offer valid November 24 to November 26, 2017. Filthy Rich Kiosk – Have a celeb-obsessed friend on your gift list? Save 25% off all replicas of iconic jewelry pieces worn by today’s biggest stars. Offer valid November 24 to November 26, 2017. Kipling – Swing by on November 24, 2017 from 4:00 PM to 8:00 PM, and receive a complimentary, collectible monkey with your purchase of $75 or more. Limit one per customer, while supplies last. Style and color may vary. Plus, save 30% off select purchases storewide—valid November 22 to November 28, 2017. Luxury of Time by Diamonds International – Here’s a gem of a deal! Purchase a 1/3ctw diamond stud for $299 and 1/2ctw diamond stud for $599, while supplies last. Offer valid November 24 to November 26, 2017. Oakley – Enjoy 50% off select apparel and accessories and 20% off select eyewear. See associate for details. Offer valid November 22 to November 27, 2017. Something Silver – Buy one piece of jewelry and get a second one at 25% off when you purchase 2 or more items from the following designers: Sarda, Something Silver CZ and the Opal Collection. Offer valid November 24 to November 26, 2017. Cannot be combined with any other discounts. Not valid on prior purchases. TUMI – Get carried away at the semi-annual sale and save 20% to 25% off select styles. Offer valid November 16, 2017 to January 3, 2018. UNOde50 – Save 30% off all styles of men’s and women’s handcrafted jewelry. Offer valid November 24 to November 27, 2017. American Threads – Give the gift of fashion and enjoy great deals on the following pieces: suede skorts ($19.99), ribbed long-sleeve tops ($14.99), double buckle belts ($9.99) and short shag jackets ($29.99). Plus, buy one item and get the second at 50% off. Offer valid while supplies last from November 24 to November 26, 2017. Columbia Sportswear – Enjoy special doorbusters at select times. Plus, save 25% on select styles and brands (excludes doorbuster and select items). Offer valid November 23 to November 27, 2017. Curl® by Sammy Duvall – Put together the perfect gift ensemble and save up to 20% off on select merchandise throughout the store. Offer valid November 24 to November 26, 2017. Fit2Run – Discover discounts on your favorite footwear brands and apparel. Plus, get a Fit2Run gift card bonus! See store for details. Offer valid November 24 to 26, 2017. Game Day Gear – Score 50% off select jerseys and apparel at this kiosk located behind Planet Hollywood Observatory in The Landing. Offer valid November 24 to November 26, 2017.
havaianas – Create a beachy bundle. Get a complimentary towel with all purchases of $40 or more, while supplies last. Offer valid from November 24 to November 26, 2017. Johnston & Murphy – Save on fashion and accessories, including up to 30% on select men’s shoe styles, 40% off men’s sweaters and up to 50% on select outerwear for men and women. Plus, get $100 off leather briefcases and backpacks. Want to stock up? All scarves are buy one, get one complimentary and all shirts and pants are buy one, get one at 50% off. Restrictions may apply. See store for details. Offers valid November 23 to November 26, 2017. LACOSTE – On the hunt for a preppy present? Save 40% off the entire store. Certain exclusions apply. Offer valid November 23 to November 26, 2017. Levi’s – Classic denim is always a solid choice for a holiday gift. Save 40% off entire purchase. See store for details. Offer valid November 24 to November 27, 2017. Lilly Pulitzer – Receive all qualifying surprise gifts with purchases of $75 or $150. Offer valid November 23 to November 26, 2017. LittleMissMatched™ – Make a purchase of $100 or more and receive a complimentary set of 6 gingerbread-scented socks, while supplies last. Offers valid November 24 to November 26, 2017. Melissa Shoes – Step into a fashion-forward sale–the entire store is up to 40% off. Plus, shop before noon and receive an additional 15% discount. Melissa+ members will receive an additional 20% off the lowest price. Exclusions apply, see store for details. Offers valid November 24 to November 26, 2017. Orlando Harley-Davidson® – Roll on up for some hot deals. Select styles of men’s fleece sweatshirts are 30% off. Plus, take advantage of a mix-and-max-special—select styles of Harley-Davidson logo duffels and crossbody bags are 2 for $30. Offers cannot be combined with any other discounts. While supplies last. See store associate for details. Valid November 24 to November 26, 2017. Pelé Soccer – Make it your goal to visit from November 24 to November 26, 2017 and save 50% off select jerseys and apparel. Sanuk – Give the gift of comfy shoes—and save 20% off storewide. Exclusions apply. Offer valid November 23 to November 26, 2017. Shore – Be among the first 100 customers on Black Friday, and draw for a chance at 20%, 30% or 40% off your entire purchase—including sales items! Plus, save 20% to 50% off select items and 20% off sale items all weekend long. Offers valid November 24 to November 26, 2017. Sperry – Discover great doorbusters starting at $24.99 when you come in to shop on November 24, 2017 only. Plus, receive 30% to 50% off select styles from November 23 to 27, 2017. Stance – Explore the newest collection of limited-edition socks and underwear inspired by characters featured in the latest Star Wars saga—Star Wars: The Last Jedi. Superdry – Save 30% off storewide! Exclusions apply. Offer valid November 23 to December 3, 2017. Tommy Bahama – Take advantage of this limited-time, in-store “Flip Side” offer: receive a $50 award for every $170 you spend to use toward a future purchase. Offer valid November 24 to November 27, 2017 and redemption period is December 1 through December 24, 2017. Additional restrictions apply; see store for details. Plus, women’s apparel is 20% off from November 24 to November 26, 2017. TROPHY ROOM – Save up to 23% off select merchandise. Offer valid November 24 to November 27, 2017. UGG – Save 30% off select women’s, men’s and kid’s styles. Offer valid November 23 to November 27, 2017. UNDER ARMOUR® BRAND HOUSE – Get $25 off every $150 purchase. Offer valid November 23 to November 26, 2017. UNIQLO – Drop by this 2-story shop during Black Friday weekend and get swept up in a holiday celebration, featuring games, prizes and reduced prices on popular items. You’ll even be able to enter for a chance to win a trip to Tokyo! Vera Bradley – Save 50% off select patterns and styles and 30% off top gifts for the season! Plus, Grand Totes are only $44 (MSRP $88). Exclusions and limitations may apply. See a store associate for details. Offers valid between November 22 to November 28, 2017. Volcom – Save with great men’s and women’s bundles! Men’s: 2 tees, one bottom and one hat for $99. Women’s: one top, one bottom and one hat for $99. Aerophile – The World Leader in Balloon Flight – Save $10 when you purchase tickets to ride in the world’s largest, hand-painted helium balloon before 10:00 AM (weather permitting). Offer valid from November 24 to November 26, 2017. Face Painting by Enjoy Your Face – Stop by this kiosk between 8:00 AM and noon and receive $2 off one face painting. Weather permitting at this location only. Offer valid November 24, 2017. Cirque du Soliel® La Nouba™ – Catch one of the final performances! All seats are $39 (excludes Golden Circle category). Tickets are only available to purchase at the box office on Friday November 24, 2017 between 8:00 AM and 11:00 PM. There is a 6-ticket maximum at the Black Friday rate. Offer valid for shows taking place November 24, 2017 through December 16, 2017. Splitsville Luxury Lanes – Delight in a complimentary game of bowling for one person with every $50 in gift certificates purchased. Offer valid November 24 to November 25, 2017. Chef Art Smith’s Homecomin’ – Dip into a complimentary dessert on the day you purchase $50 or more in gift certificates. Offer valid November 24 to November 25, 2017. Earl of Sandwich – Sweeten your day by getting a complimentary brownie with the purchase of a sandwich or wrap. Offer valid November 24 to November 30, 2017. Erin McKenna’s Bakery – Indulge in gourmet fruit cakes for only $5 each. Plus, buy 5 donuts, get 1 complimentary! Offer valid November 24 to November 26, 2017. Frontera Cocina – Celebrate a successful shopping trip at this Mexican hotspot— enjoy 15% off food and non-alcoholic beverages until 4:00 PM. Cannot be combined with any other promotion. Offer valid November 24 to November 26, 2017. Ghirardelli® Chocolate and Ice Cream Shop – Spend $35 or more and get a 100-count milk chocolate caramel minis gift bag for just $5. Offer valid November 24 to November 26, 2017. Haagen-Dazs at Disney Springs West Side – It’s the 10th anniversary of Peppermint Bark ice cream! Treat your taste buds to heaping scoops of this holiday classic in a variety of handmade desserts. Flavor available through January 31, 2018. House of Blues® Restaurant & Bar – Mosey on over to the inside bar for special Happy Hour drink prices from open to 5:00 PM. Paddlefish – Dine aboard an iconic paddleboat and get $10 off your meal when you spend $50 or more. Offer valid November 24 to November 26, 2017. Paradiso 37, Taste of the Americas – Fuel up early and save! Come in between 10:00 AM and 3:00 PM on November 24, 2017 and receive 20% off food. The Polite Pig – Swine not come in and save 15% off all retail items? Offer only valid November 24 to November 26, 2017. The Spice & Tea Exchange – Receive a complimentary, custom blend of one of the following: Vik's Garlic Blend (1oz), Onion Obsession (1oz), or Butcher's Rub (1 oz) with purchase of $25 or more, while supplies last. Offer valid November 24 to November 27, 2017. Sprinkles – Will you be the lucky “Golden Ticket” winner? On Black Friday only (November 24), this bakery will be placing gift cards from select retailers inside randomly chosen cupcake boxes at the Sprinkles ATM. Plus, don’t miss your chance to try the limited-time Black Velvet cupcake. Tea Traders Café by Joffrey’s – Receive a complimentary Disney-character art on your latte when you purchase your favorite beverage between 8:00 AM and noon. Plus, receive 20% off on merchandise all day long. Offers valid November 24 to November 26, 2017. Vivoli il Gelato – Pair a croissant with a coffee or hot chocolate for just $5 all day long! Excludes tax. Offer valid November 24 to November 25, 2017. Wetzel’s Pretzels at Disney Springs Marketplace and West Side – Buy 2 items, get 1 complimentary! See kiosks for details. Offer valid November 24 to November 26, 2017. Wolfgang Puck Express at Disney Springs Marketplace – Enjoy 25% off signature pizzas on November 24, 2017. Plus, if you spend over $75 at Basin you’ll receive a complimentary dessert item or classic cheese pizza, and a complimentary entrée for purchases over $150 (Basin receipt must be shown at time of order)– valid November 24 to November 26, 2017.